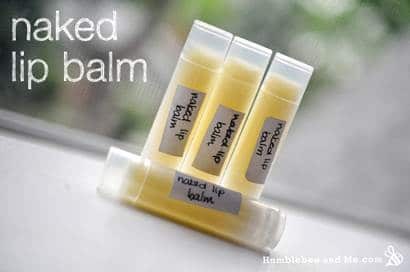 Our latest addiction is Humblebee & Me’s Naked Lip Balm. They smell so delicious it’s hard not to lick your lips. They glide on easily and provide ample moisture, making the lips extra soft. We’d have to double-check with Humblebee & Me, but the amount of coconut oil used in the balm probably provides a sufficient amount of sun protection which is a plus. For the ladies, this lip balm works great if you add a little color with a lip pencil.